There is a way a better way to navigate the Alabama expungement process that bypasses lawyers seeking to capitalize on others’ misfortunes. 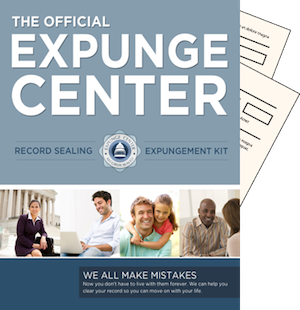 Expungecenter.com offers those who wish to expunge records in Alabama the tools they need. The founders of the website are everyday people—people who have experienced the negative effects of an arrest or conviction. Mug shot websites and background database companies often exploit individuals. By holding their information, a previous offender will have their future employment, reputation, credit and housing applications slandered. Criminal records are often permanent, and accessible to any decision maker wishing to view and individual’s past. While most states allow previous offenders to seal one criminal offense, any other records are usually permanent. These records can hurt future relationships with spouses and children, slander an individual’s name based upon a mere technicality and ruin a potential career. Expungecenter.com allows individuals to expunge records in Alabama without the need of a lawyer or the stress that comes with navigating legally written instructions on government websites. This website allows users to expedite the lengthy—and sometimes shameful—process of cleaning one’s record. The usual process often requires an offender to file personal information with a local courthouse clerk; this information is often cataloged on top of Alabama expungement, and can also show up in background checks. This process is not always guaranteed to benefit the user, and Alabama state laws dictate that, while misdemeanors may be released, felonies are subject to permanent disclosure to third parties. The website bypasses this process in a 100 per cent risk free and legitimate way. The website provides users with a kit that allows previous offenders with a second chance. The kit saves thousands in fees and personal slander, and is accessed online—in order to avoid courthouse appearances. The kit is equipped with a step-by-step manual, one that shows users how to clean their background effectively and legally. The kit lets residents of Alabama erase any harmful information that might appear in background checks, be released to job interviewers or appear in online applications, housing applications or government assisted forms. By sealing or expunging a criminal record, one can have a free conscious and a clean past—one that will allow for easygoing family relationships and job security. The process is quick, simple and legal. The benefits are numerous and invaluable. By accessing Expungecenter.com, users gain an opportunity to clean their slate, and avoid any future inconveniences and embarrassments from previous mistakes. While the past is very real, and the law should always be respected, mug shot websites and companies that provide background check services often exploit individual’s past mistakes and tarnish one’s reputation for small offenses. The website aims to protect individuals, and grant them another chance at life, jobs and relationships. Before ordering, complete our eligibility test to validate your eligibility for expungement.